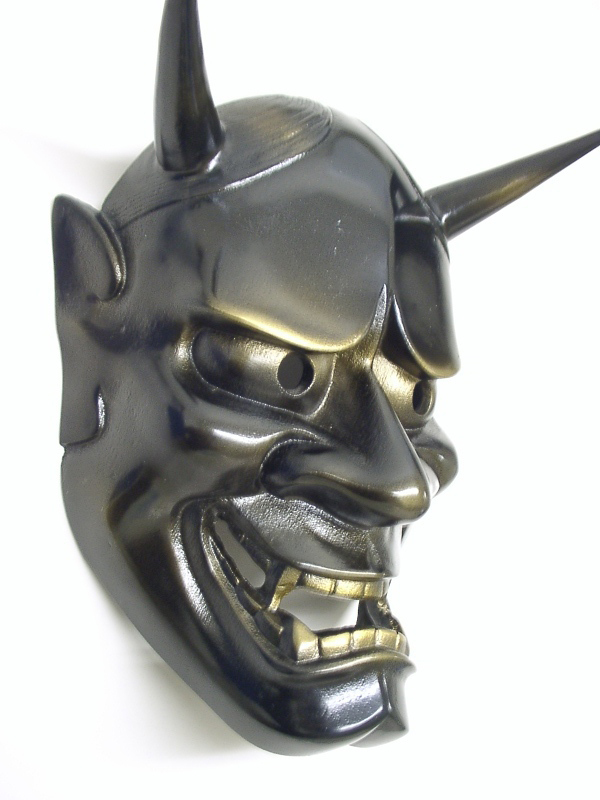 The most well-known of the Oni demon masks in Japanese theatre, the Hannya mask has two sharp horns protruding from the temples, and bulging eyes staring from beneath a glowering forehead. 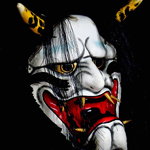 The mouth is a gaping hole with grotesquely exaggerated canine teeth protruding from the mouth like the fangs of a wild animal. 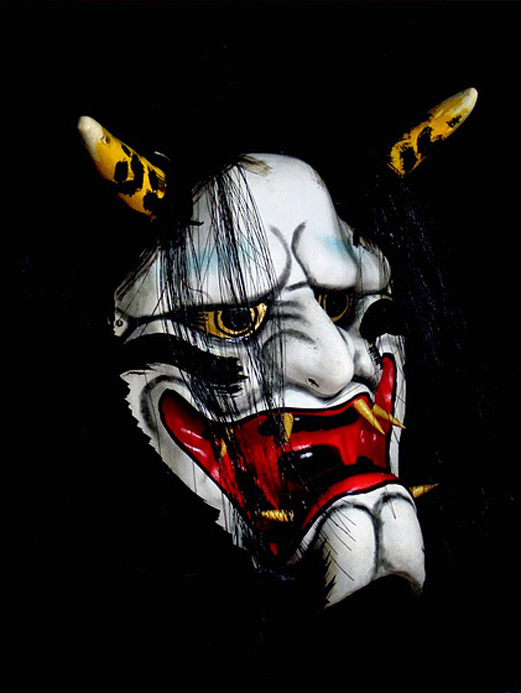 With its range of fierce emotions and expressions, the Hannya mask is a favorite tattoo image with enthusiasts of traditional Japanese tattooing. 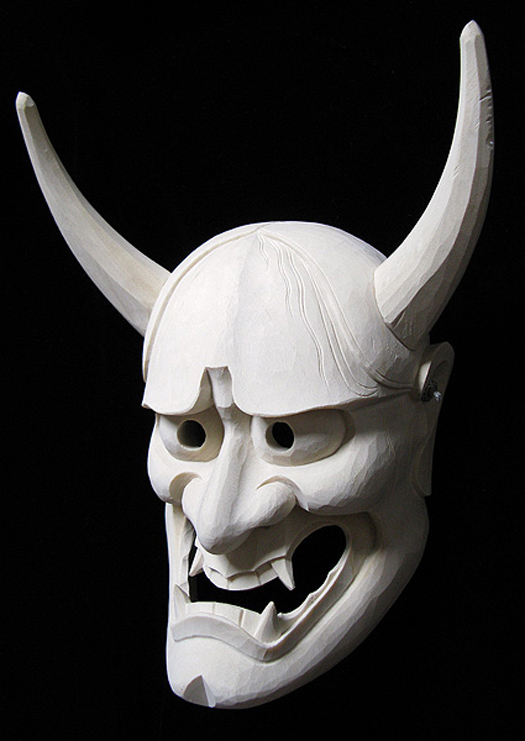 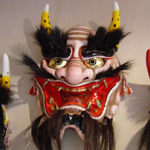 The Hannya mask first appeared in the Japanese Noh and Bunraku plays around the 14th century, when theatrical masks - carved of wood -- were used to depict the character's state of mind or temperament. 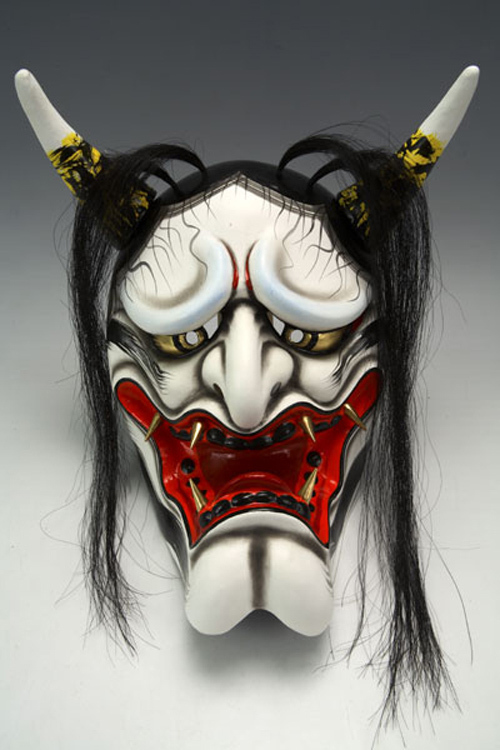 The Hannya mask represents a woman who has been betrayed by love and is filled with rage, jealousy and hatred. 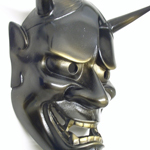 She has become a demon. 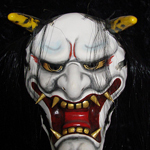 In fact, she bears little resemblance to a woman at all. 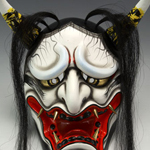 In the 14th century, all women characters were played by men and the masks were a favored prop. 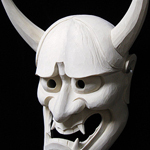 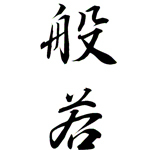 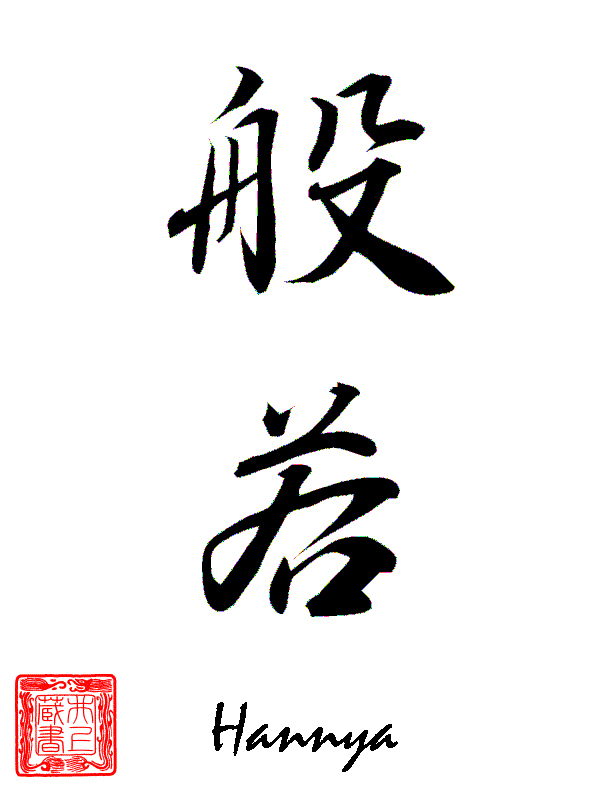 One legend of the Hannya tells of a beautiful woman who falls in love with a priest. 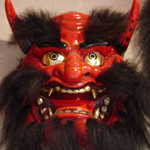 Some folk tales say she was rejected outright, while others have the priest returning her love, yet he was forbidden by his vows to touch her. 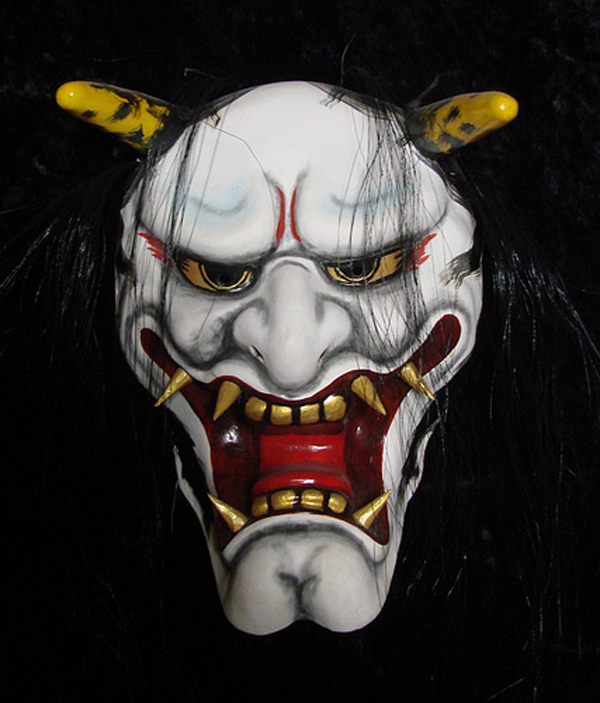 Her longing and desperation, the tragedy and pain of her unrequited love turns her into a monster consumed with rage, jealousy, anger and revenge. 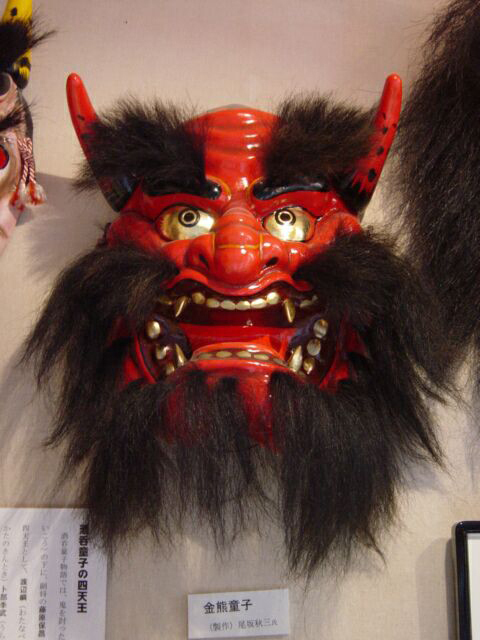 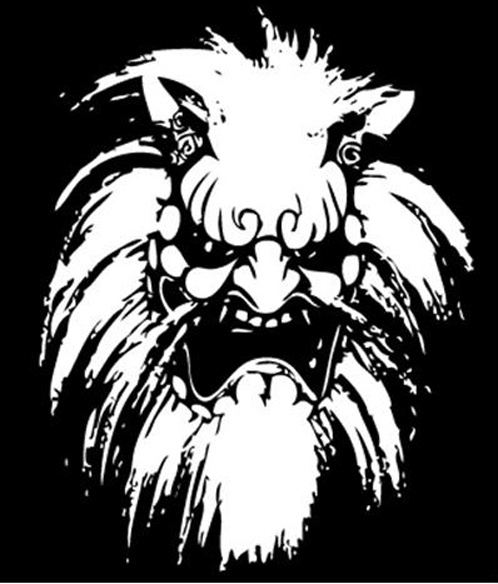 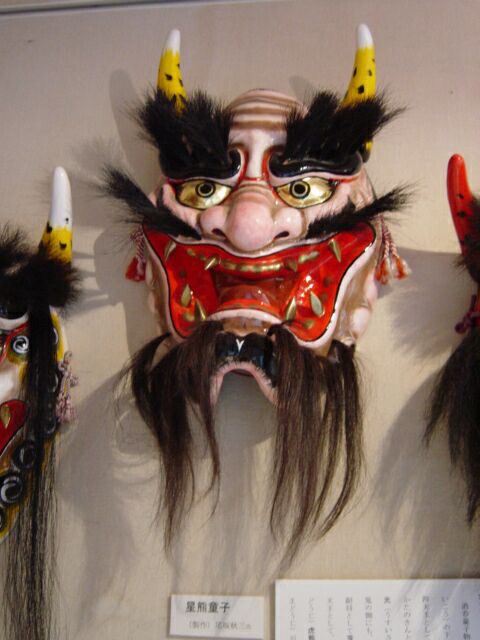 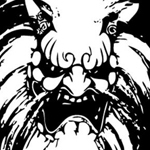 See also: Oni Masks, Tengu, Japanese Tattoos and Japanese Tattoo Index.